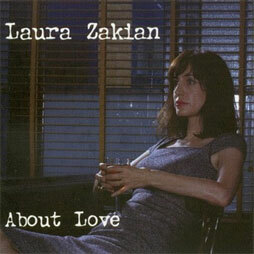 On About Love: Laura Zakian once again shows a fine nose for rooting out interesting and unusual contemporary material. The trio of pop songs she covers all elicit A-list performances and masterly arrangements. Despite the song’s technical challenges (the melodic line sounds like a mutha to sing) ‘Disney Girls’ by Beach Boy Bruce Johnston illustrates Zakian’s strong storytelling gifts. The singer brings a hypnotic, incantatory quality to ‘Love Junkyard’, a song made famous by Rickie Lee Jones, while on ‘Two Grey Rooms’ – the concluding track on Joni Mitchell’s Night Ride Home album – she achieves a subtle balance between ennui and obsession. Elsewhere, Zakian show her sustaining power in Day in Day Out, has a ball on the elaborately arranged ‘The Gentleman Is A Dope’ and lovingly caresses the lyric of ‘He Was Too Good To Me’. This fine album comes to a close with a memorable take on ‘ I Could Have Told You’. As on her previous release, Just One Of Those Things, pianist Jim Watson is a key presence. 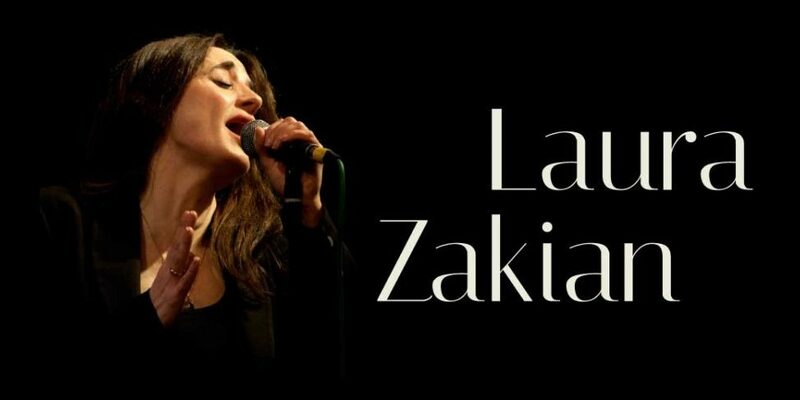 Rather like those old style, quality torch singers, Laura Zakian sings in intimate, measured tones and puts across each song she tackles with warmth and conviction. She is as comfortable with a solid standard like My One And Only Love as she is with the unlikely Disney Girls with its Beach Boys connotations. Her phrasing is clear and accurate with all material and she puts plenty of feeling into every selection without ever resorting to histrionics or the sort of ‘big finishes’ that so many vocalists indulge in. She can be ultra cool and sophisticated on a piece like Something Cool or huskily seductive on tracks such as I’m A Fool To Want You where she has the support of partner Paul Bartholomew’s baritone sax. Each track on this CD benefits from strong, sympathetic instrumental backings and particularly the piano work of Jim Watson whose support and solo expeditions are spot on. The other plus on the CD is the inclusion of rarely heard but worthy compositions like the opening They Say It’s Spring and the closing I Could Have Told You. Both are very old and very good and should have enjoyed more exposure than they have. Sinatra did record I Could Have Told You but almost everybody else has ignored it. Ms Zakian is on great form here putting her personal stamp on a challenging mixture of material and receiving great support from her musicians.